Google analytics is the key to understand your visitor behavior and adapt your website and marketing strategy accordingly. 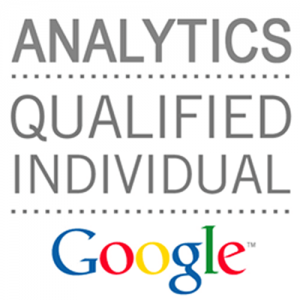 We love analytics and, as Google Partner, we are Google Analytics certified. Please note that we comply with Google’s Third-Party Policy. This policy requires that we provide our clients with a transparent, clear, and honest representation of AdWords services. This policy requires that we provide our clients with a transparent, clear, and honest representation of AdWords services.